Diet has always been the major factor determining the health and well-being of an individual. Technological advancements have lead human beings to fall prey to sedentary lifestyle which in turn has become the root cause of major lifestyle disorders such as type 2 diabetes and cardiovascular diseases. The advent of the genomics era has proven to be a boon in such a scenario. 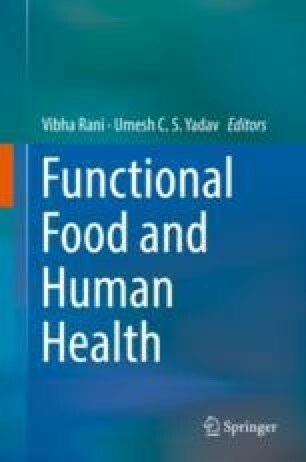 With the human genome sequence in hand and the use of different omics techniques, it is now possible to understand the gene-diet interactions and find significant components in functional foods modulating the disease aetiology. The knowledge of functional foods and their integration with individual requirements can together become the basis of the personalised nutrition. This chapter provides a basic understanding of the functional foods, discusses the different phytochemicals as functional foods and finally highlights the different genomics approaches to personalised nutrition.